Several Further Education College Principals and Chief Executives also received OBEs, including Karen Redhead (Derwentside College), Karen Dobson (Newcastle & Stafford College Group), Nigel Duncan (Fareham College) and Annette Bruton (Edinburgh College). Joanna Hunter, Co-Founder of Smart Works. a charity which provides high quality interview clothes and interview training to unemployed women in need, receives an OBE. Anthony Osmond, previously a Non-Executive Director at the Disabled People’s Employment Corporation (the former DWP arms-length body which managed the residual assets and liabilities of Remploy) also receives an OBE. David Hughes, Chair of The East Midlands Apprenticeship Ambassador Network receives an MBE, as does Angela Middleton, Founder and Chief Executive of the Middleton Murray Group, an independent training provider. Paul Griffiths, Chairman of Industrial & Marine Hydraulics (IMH) receives an MBE for services to engineering skills and apprenticeships on Teesside, whilst Claire Paul, Director of Leadership Development at the BBC, also receives an MBE for services to apprenticeships. Several grass roots practitioners were also recognised on the list. Lyril Rawlins, Disability Employment Advisor and Coach at Selly Oak Jobcentre Plus receives an MBE. Fiona Bailey, a Troubled Families Employment Adviser at DWP also received an MBE. There’s a lot of activity and interest in the education and training space at the moment. This can only be a good thing. In the UK, the government are significantly reforming technical and vocational education. Apprenticeships and T Levels are the leading edge of this. They are the only significant initiative being delivered – other than Brexit – and form the bedrock of the narrative for how we build a new economy post-Brexit. I’ve done a lot of work around apprenticeships in the last couple of years (you can find some of my writing on the subject here). I spent a lot of the last year thinking hard about prison education – as the Ministry of Justice procure their latest round of provision. I’m now involved in some really interesting work around the implementation of T Levels. I spent a long time designing and delivering large scale welfare to work programmes. A fundamental weakness of these programmes over time, was their lack of connectedness to proper vocational training. Whilst they helped a lot of people into employment, increasingly they were meeting a short-term demand side need with short term supply side resource. What they weren’t doing was addressing the fundamental weaknesses in our labour market – and building capacity on both sides. in the extraordinary and growing levels of regional inequality. So, yes – significantly improving our technical and vocational education system is a national necessity. For economic and social reasons. There are a lot of things to get right. Adequate – if not ambitious – levels of funding for a start. Apprenticeship reform is experiencing growing pains, and there are concerns – many of which are valid – around the implementation of T Levels. But, on a really fundamental level, we’ve got to get our core approach to training and education right. What is the philosophy on which it will all be built? What works best? Having spent a lot of time thinking about this, I’ve distilled this down to three key pillars of effective education and training. They come as a package. You can’t implement one without the others. Taken together, they would help us create an education and training system that could transform our economy and our society. So, here they are. Learning must be tailored to individual need to make an impact. Whether that’s ability, interest or specialist requirements, learning provision must feel relevant, inspiring and be accessible. Learning must be clearly linked to real world outcomes to be truly motivating. This doesn’t have to be exclusively vocational or financial in nature, but a tangible goal is what will encourage engagement from learners. Learning needs to focus on character as much as curriculum, to drive long-term change. This isn’t a call for a return to some sort of Victorian moralism. It is a recognition that the best learning is always about self development, as much as it is about competency, capability and knowledge gain. The implementation of these three principles will look different, depending on the setting. Their realisation in a school system would look very different to their realisation in an apprenticeship programme. They’d look very different again in a university. They could be applied at a macro, system level – defining a nationwide approach to learning. They should also be applied – regardless – at provider and provision level. The Birthday Honours list has once again recognised the efforts and contributions of a host of people working across the skills, employability, education and justice sectors. 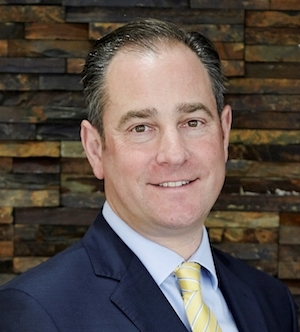 Heading up the list, Matthew Coffey, Ofsted’s Chief Operating Officer, is made a Companion of the Order of the Bath. Karen Gosden, Universal Credit Area Director at DWP, is also made a Companion of the Order of the Bath, whilst Tim Read, DWP’s Implementation Delivery Manager for Universal Credit, receives a CBE. Richard Frost, Employment Specialist Team Lead at the Devon Partnership NHS Trust, receives an MBE for services to mental health. 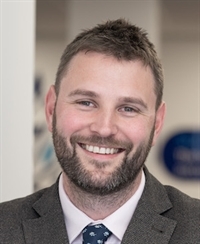 He oversees Workways, a specialist service within the Trust, providing employment-focused support for local people experiencing stress, anxiety, depression or other mental health conditions. 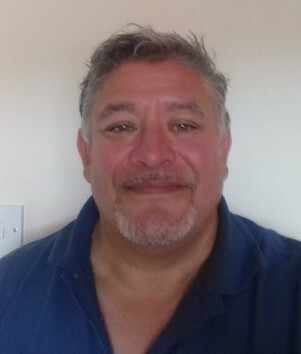 Elsewhere Henry Wilson, Project Director of REACH Community Projects in Haverhill, also receives an MBE for his work in providing drop-in support, money advice, and foodbank services aimed to help lift local people out of poverty. Rehana Mohammed, Area Education Manager with the Workers’ Educational Association, receives an MBE for services to the education of marginalised women in Rochdale and Oldham. Violet Donovan, Co-founder of The Chris Donovan Trust, a charity established in the memory of her son who was tragically murdered, receives an MBE for services to restorative justice. Angela Williams, Principal of Huddersfield New College, and Gill Alton, Chief Executive of the Grimsby Institute Group, both receive OBEs for services to education. Richard Bridgman, founder of mechanical engineering firm Warren Services Ltd, received an OBE for services to apprenticeships. Susan Simpson and Frederick Dodds, both Training Managers for WorldSkills UK, both receive MBES for services to the WorldSkills Competition. Alan Moss, Senior Lecturer at the RAF Central Training School, also receives an MBE for services to Apprentice Training. The Clink Charity provides a credible solution to the major skills shortage the UK’s hospitality and catering industry is currently experiencing, as well as reducing reoffending rates of ex-offenders through the delivery of accredited hospitality training and work experience. The Clink Restaurants – HMP High Down, HMP Brixton, HMP Cardiff, HMP Styal – train serving prisoners in their last 6 to 18 months of their sentence to work towards gaining their City & Guilds Level 2 NVQs in Food Preparation and Cookery, Food and Beverage Service and Food Hygiene. The training schemes also improve soft skills by encouraging team work and building on each trainee’s confidence, self-esteem and work ethic within a high-pressured restaurant environment. The Clink delivers a five-step integrated programme and, upon completion of their training and once they are released, our support workers help graduates gain employment and accommodation as part of their reintegration back into society. Clink support workers are there 24/7 for at least 12 months to provide the vital support needed to break the cycle of crime. There are 84,648 adults in prison in England and Wales. Of those released, sadly 44% go back to prison within the first year of release and this rises to 59% for those serving sentences of 12 months or less. The Justice Data Lab report released in November 2016 by the Ministry of Justice highlights that prisoners completing The Clink Charity training programme are 41% less likely to reoffend than someone of a similar situation within the prison system who hasn’t benefited from the support. There are over 90,000 job vacancies currently available in the UK hospitality and catering industry. The British Hospitality Association (BHA) has warned that hospitality businesses could be left with a labour shortfall of one million workers within 10 years if migration is restricted after the UK leaves the EU. With this in mind, along with the skills shortage already identified in the sector, we need to be looking at underrepresented sectors of society as a source of talent, given the right guidance. The hospitality industry is one of the fastest growing sectors and the fourth largest employer in the UK with 4.49 million people working in hospitality and tourism jobs. The industry is very open to employing people with transferrable skills from other sectors and is good at recognising potential in people that may be at a social disadvantage. The Clink Charity now works with over 280 employers who are all willing to take on Clink graduates, subject to a satisfactory interview, as they can see the potential and benefit of employing someone who has been trained to such a high standard. Training and education is key. The Clink Restaurants are primarily catering colleges that deliver accredited City & Guilds training. A recent Ofsted inspection of one Clink Restaurant highlighted that “The Clink continued to be an impressive training area” that is delivering 40 hours of training and work experience to each prisoner learner every week, 47 weeks of the year. They are classically trained from the bottom up and are used to preparing fresh, raw ingredients. Fish has to be hand-filleted, meat skilfully butchered and vegetables meticulously prepped. The trainee chefs are taught to make every stock, soup, sauce, pasta and ice cream served in the restaurants from scratch. As so many basic skills are being lost from the convenience of pre-prepared produce and we want our graduates to continue their careers in hospitality with a sound culinary foundation. This way our graduates are in the best position once released to work in a variety of environments from a high-end Michelin star restaurant to high street chains or contract caterers. Be open minded. We’ve all made mistakes in life and it’s easier than you might think to find yourself on the wrong path in life. The Clink’s approach to prisoner rehabilitation changes public attitudes, transforms lives and creates second chances for those who want, need and deserve a second chance. “Do it once and do it properly” – Mohamed Al Fayed. 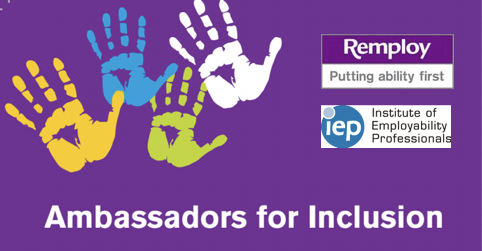 The session run by Remploy and the Institute of Employment Professionals at the IntoWork Convention, titled ‘Ambassadors for Inclusion’ was a chance for Remploy and the IEP to showcase the exciting work we are doing together. We think the Ambassadors programme that we are building will make a real difference, by promoting positive messages about disability and work, and giving a powerful voice to disabled people. Two disability Ambassadors, Tony Collins and Anna Wharfe, presented on the subject of their own experience in managing a disability or health condition at work, and the adjustments that have worked for them. They also spoke about the support they can provide to employers wanting to improve their disability confidence, as part of the Government’s Disability Confident scheme. Anna Wharfe is a Mental Health Ambassador. She told the session that she lives with anxiety, and that she developed this mental health condition in work, shortly after she started in her role at Remploy. Her line manager has been very supportive, and one of the adjustments which has helped is her ‘invisible panic button’ where she lets her manager know that she is unable to work on a particular day, and will make up the time on her non-working day. This means Anna knows she’s not letting her employer down if she ever feels unable to work. Anna also talked about imposter syndrome, something which she feels is a more serious condition than many people recognise. She spoke about feeling like a ‘council house kid from Oldham’ who couldn’t possibly be good enough for the job she was in, or the challenges that her job required her to step up to. This feeling was so intense that it heightened her anxiety. She thinks it might help if we were encouraged to be more open about our feelings of inadequacy, instead of always putting on a brave face at work. Tony Collins is a Learning Disability Ambassador. Tony spoke about how important work is to him, and how determined he is never to live on benefits. He has been in work all of his adult life, but his first two jobs – before the introduction of the Minimum Wage – were not paid monetarily. Tony’s first job was for a leisure centre where he was ‘paid’ in tokens from the lockers. In his next role, at a clothes shop, he was ‘paid’ in coat hangers. Tony asked the session why they thought he had been paid in that way. Tony told us that he thought the most important adjustment he had received was a working interview, on applying for his job with Remploy. He was given the chance to show what he could do, over the course of a few weeks, rather than having a formal interview, which would have played to his weaknesses. He also spoke about the importance of a trained job coach, who supports him with the parts of his job that he finds harder to manage. Scott Parkin, IEP Chair said: “Anna and Tony did a fantastic job. Opening up about their own experiences gave us a true picture of what is actually happening in the real world and an invaluable insight into ways employers can make a difference. This is a great initiative and one that IEP are proud to support with training, development and opportunities to gain experience presenting and networking. What could be better than employers hearing what they need to do, often much less than they initially think, to make their recruitment processes and operational environment truly available and accessible for people with disabilities; learning from people who really know.